The MR Direct 4521-18, stainless steel sink ensemble is a premier choice spotlighting the triple-bowl sink constructed of superior 304-grade, 18-gauge, stainless steel. Two equal-sized bowls of a comfortable 8½" depth, straddle a smaller, shallower prep basin. All three bowls aligned along the front provides a void at the back for central placement of the faucet. The offset drains of the larger sinks create additional under-the-counter space. Dense, sound-dampening pads and an insulation coating are applied to the underside. 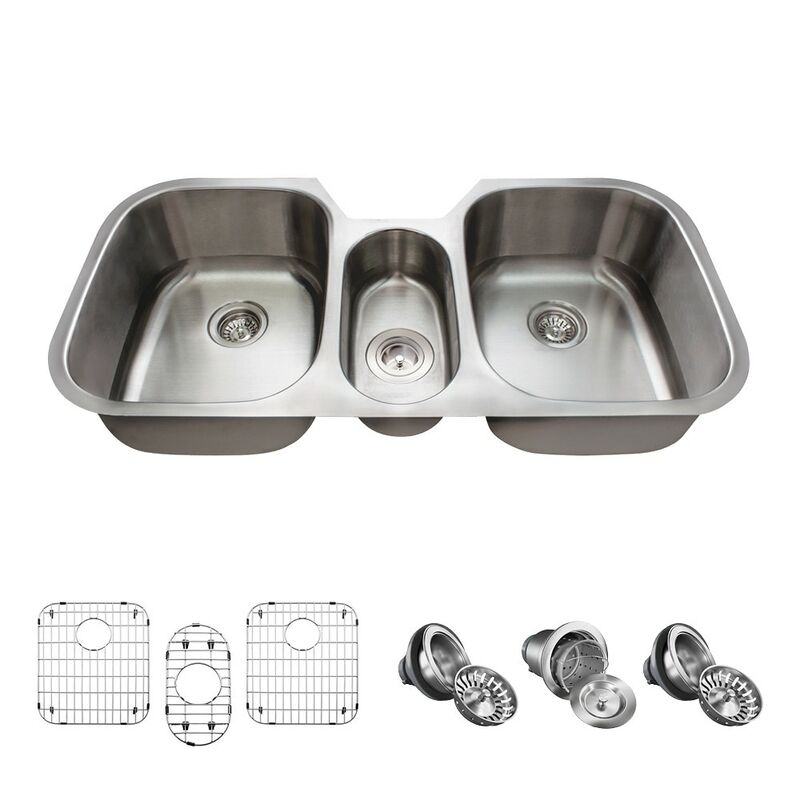 Several convenient accessories are included in this ensemble -- three custom-fitted grids tailored to keep items off of the basin bottoms, two standard strainers, and a basket strainer to catch scrap materials.